Jewish commentator Rashi believed Isaiah 53 referred to Israel. Rashi, writing in the 11th century, did have some historical precedent for this interpretation, as his commentary became one of the best popular commentaries on the Tanakh. Eliyahu Rabbah, which scholars agree was written in the end of the tenth century, (Tana Devei Eliyahu) has 3 citations referenced below. Now I remember that, on one occasion, at a disputation held with certain Jews, who were reckoned wise men, I quoted these prophecies; to which my Jewish opponent replied, that these predictions bore reference to the whole people, regarded as one individual, and as being in a state of dispersion and suffering, in order that many proselytes might be gained, on account of the dispersion of the Jews among numerous heathen nations. Sanhedrin 98b in the Babylonian Talmud applies Is 53:4 to the Messiah and applies Is 53:12 to Moses in Sotah 14a. The Jerusalem Talmud (Shekalim 5:1) applies Isaiah 53:12 to Rabbi Akiva. “Behold My servant shall prosper: IsraelMy servant shall be exalted and lifted up, and shall be very high. And [according to] the teachings of our Rabbis: He shall be more exalted than Abraham, as it is written: “I have raised my hand toward the Lord…” [Gen 14:22]. He shall be more lifted up than Moses, as it is written: “…as the nurse lifts up the suckling…”. And he [Israel] shall be higher than the ministering angels, as it is written: “And they had backs, and they were very high…” [Ezek 1:18]. Furthermore, the Midrash known as Tana Devei Eliyahu contains three references to Isaiah 53, applying them to the righteous of Israel (chapters 6, 13, 27). Another Midrash, Aleph Beitot (final chapter) quotes Isaiah 53 in reference to the nation of Israel as a whole. Kuzari also identifies Isaiah 53 as the nation of Israel. Chovot ha-Levavot also identifies Isaiah 53 as the nation of Israel. 52:13-14 is applied to the Angel Metatron in Zohar Volume I 182a. 53:5 is applied to Elijah the prophet in Zohar Volume II 115b. 53:5 is applied to Moshiach ben Yosef in Zohar Volume III 276b. 52:13 is applied to Moshe in Zohar Volume III page 153b. 52:13, 53:2,5 is applied to Moshe in Zohar Volume III 280a. 53:1 is applied to Moshe in Tekunei HaZohar page 43a. 53:5 is applied to Moshe in Tekunei HaZohar page 54b and 112a. 53:5, 7 is applied to Moshe in Zohar Volume III 125b. 53:5, 6, 7 is applied to Moshe in Zohar Volume III 282b. 53:7 is applied to Moshe in Zohar Volume I 187a. 53:10 is applied to Moshe in Zohar Volume II 29b. 52:13 is applied to the Righteous of Israel in Zohar Volume I 181a. 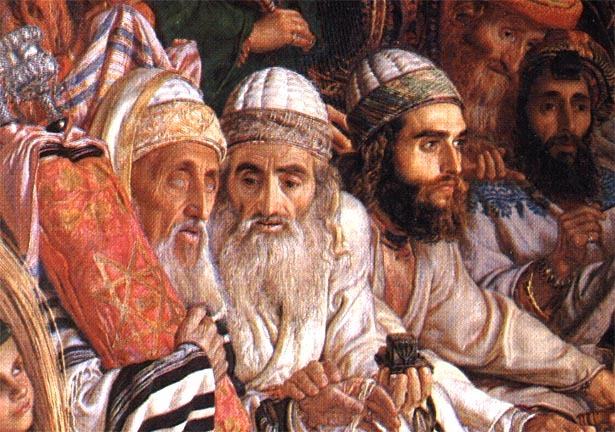 Whilst some Jewish sources point to the servant as an individual, the individual being divine to the exclusion of all others is something not taught with respect to any servant or messiah in the Jewish Scriptures. 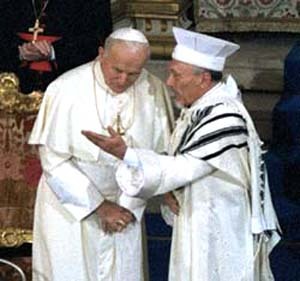 Here is where Judaism and Christianity differ. 7. Isaiah 53 – Who is the prophet talking about?